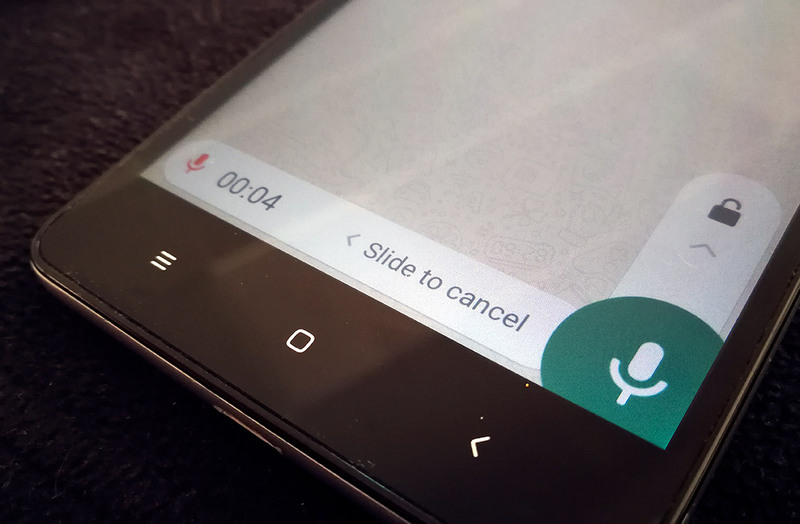 WhatsApp has added a new feature that many of us have been waiting for for a long time: the possibility to record voice messages without having to hold down the record button. If you use WhatsApp on a regular basis, then you’re probably familiar with the voice message feature. With it being one of the app’s most popular communication features, it’s super normal to open the app and find multiple voice messages waiting for you from your contacts. Well, this is going to be even easier than ever now that the new audio recorder lock is available. We’ll explain how to use this new feature that’s already available in the 2.18.102 version of WhatsApp. We recently mentioned the possibility to create group descriptions in WhatsApp, a minor improvement that adds a tiny bit more depth to the app. In general, improvements for the app tend to be small and concise. And that’s exactly what’s happened with this new audio recorder lock on WhatsApp. That said, it’s definitely a feature that we’ll get plenty of good use out of. The way this new feature works is pretty self explanatory. Just tap the microphone record icon like usual, and slide your finger up to the padlock you see above the big green button. This way you can talk without having to keep your finger pressed down on the lower right corner of the screen. Your fingers are finally free. And when you want to send the recording, all you have to do is tap the send button like you would with a normal message. If you’re not 100% happy with the message you’re recording, all you have to do is tap the red “Cancel” you see in the center of the text box. 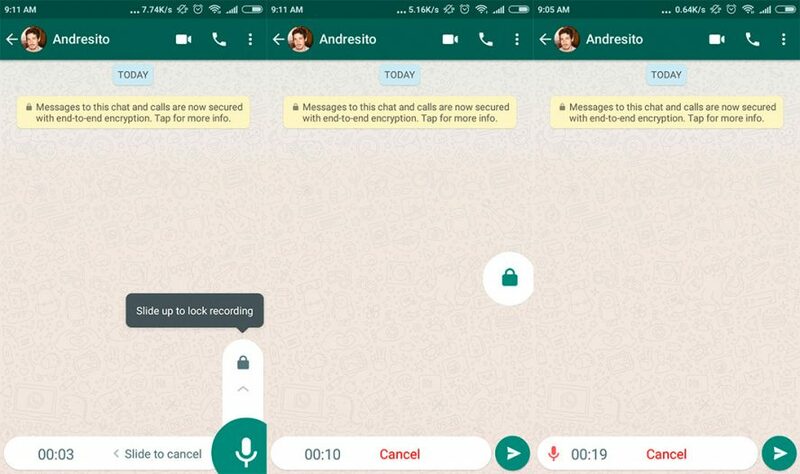 Best of all, you can choose how you record these voice messages on WhatsApp, given that the old way is still available for anyone who wants to use it: just keep the green button held down until you want to send the message.